It is fair to say that most folks understand the importance of basic teeth care in that it helps keep our smiles white and our teeth bright. However, the reasons why proper dental care is so important go much deeper, especially if you want to keep healthy white teeth from decaying and maybe even falling out for good. That may sound drastic but it is true. A cavity results from tooth decay and dentures or dental implants are the result of teeth that have decayed beyond repair. Poor nutrition and lifestyle habits such as cigarette smoking can both contribute to tooth decay, but by far the most common reason these types of tooth problems develop is improper dental care. Teeth that are not cared for properly can also cause the dreaded bad breath, a foul odor that others shun. 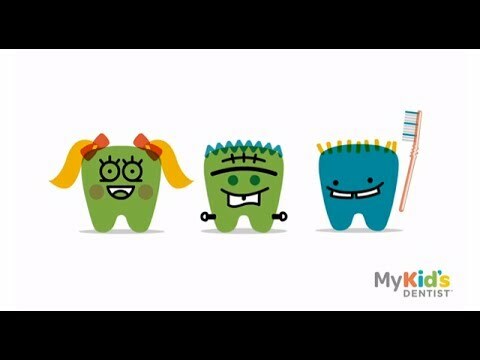 It is never too early to start learning about teeth care and teaching children to brush and floss their teeth regularly and to visit the dentist, every six months is something they will remember throughout life. It will also help them to take better care of and protect the teeth they have been given. There is much more to a tooth than meets the eye. The part that is visible is referred to as the crown. Every tooth has another part called the root. A tooth's root is below the gum line and extends into the jawbone. The area where the crown meets the root is called the neck. The crown, the root and the neck are the three basic parts that make up every tooth. The enamel is the outer layer of the tooth, the part we brush, and it is actually translucent, not white. Enamel is what gives a tooth its strength but it is also the part of the tooth that will decay, when not properly cared for. Below the enamel is a layer called the dentin. The majority of each tooth consists of this bone-like hard material that extends into the crown and below the gum line. Dentin is what is responsible for a tooth's coloring. Within the dentin is a pulp cavity. This area contains pulp, which is actually made up of connective tissues, nerves and blood vessels. The blood vessels carry important nutrients to the teeth and the nerves trigger hot and cold sensations. What we refer to as our gums is actually called gingiva. Gingiva is the pink area that fits around each tooth and covers the jawbones. Just as enamel surrounds the dentin in the crown area, cementum is a material that surrounds the roots. A layer of dentin also covers the cementum. Periodontal ligaments are what attach each tooth to the jaw. Craters, or more appropriately, alveolar sockets, form within the gum as each tooth pushes up through the gum. These sockets along with the alveolar process (the walls of the crater) also help keep teeth in place.